And It’s Coming to Newport, RI in May 2015! With seven hungry and ultra-competitive teams sailing a fleet of brand new one-design boats, the 12th edition of the Volvo Ocean Race is on track to be the most closely contested and exciting one yet, for racers and fans alike. This globe-girdling marathon covers 38,739 nautical miles, starting in Europe and spread across Africa, Asia, Australasia and the Americas before finishing back in Europe. 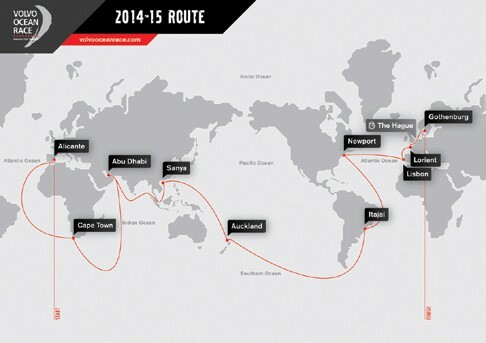 The race will make stopovers in 10 cities, with a points-scoring In-Port Race in each. The action starts in the Mediterranean port of Alicante, Spain with an In-Port Race on October 4, 2014. A week later, the teams set out for Cape Town, South Africa on the first leg. This opener is something of a classic, racing from north to south into the trade wind belts, with an equator crossing and the Doldrums to negotiate in the middle, and a final dash into the Southern Ocean to ride the big breezes and waves to South Africa. From Cape Town, the fleet will head back north into the Indian Ocean to Abu Dhabi, United Arab Emirates, followed by an eastward leg to Sanya, China. Then the race heads south once again, through the Pacific to Auckland, New Zealand. 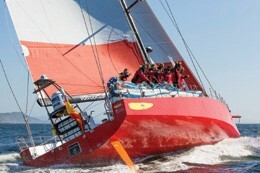 The next leg runs across the Southern Ocean, around Cape Horn and up South America’s east coast to Itajaí, Brazil. The sixth leg will bring teams to Newport, Rhode Island, where an In-Port Race is scheduled for May 16, 2015. The final oceanic dash is across the Atlantic to Lisbon, Portugal, before a sequence of short legs to Lorient, France, The Hague, Netherlands and Gothenburg, Sweden, with the final In-Port Race on June 27, 2015. 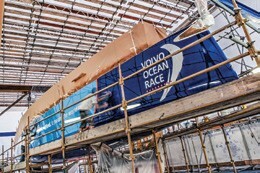 A Race Village will be set up in each stopover city, with free entertainment including concerts, awards ceremonies, celebrity appearances, opportunities to meet the teams and check out the boats, live commentary for In-Port and Pro-Am Races, kids activities, and the “Volvo Ocean Race Experience,” a unique interactive look at the race through the eyes of a sailor. 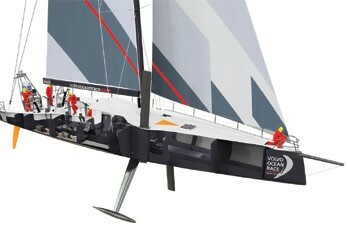 For the first time in Volvo Ocean Race history, teams will race identical one-design yachts. Conceived by the race organizers with a goal of reducing the cost of mounting a campaign to help teams with smaller budgets be competitive, the Volvo Ocean 65 is a 20-meter yacht designed by Farr Yacht Design in Annapolis, MD to strike a balance between speed, safety and affordability. Every boat in the race is built to identical specifications by a consortium of boatyards. Each has exactly the same rigging and equipment, and no modifications of any kind are permitted. All sails are built by North Sails, and each boat must race around the world with just 12 sails including four replacements – a major inventory reduction from previous Volvo Ocean Races – with only eight sails allowed on board at any time. Great Britain’s Ian Walker, who has two Volvo Ocean Races under his belt, is back at the helm of Azzam (Arabic for “determination”). The Emirati syndicate has the experience, talent and drive to succeed this time around. 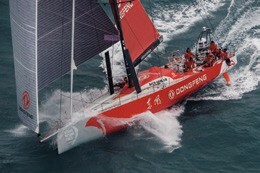 Dongfeng means “the eastern wind” and this ambitious Chinese team, skippered by Frenchman Charles Caudrelier, is represented by a crew that is half Chinese, half international. 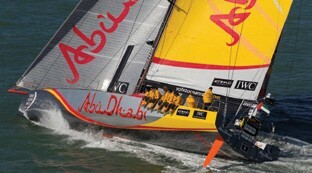 The youngest team in the race hopes to fulfill a seven-year dream of competing in the Volvo Ocean Race by winning it. 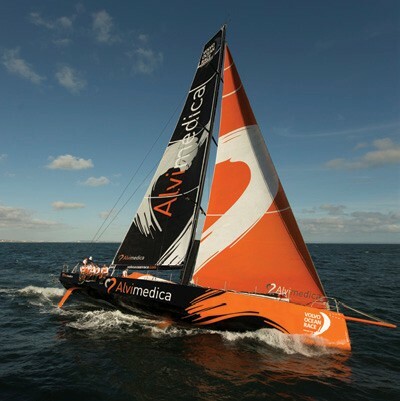 Alvimedica is skippered by Charlie Enright of Bristol, RI, and the other Americans on the roster are General Manager Mark Towill of Kaneohe, HI (Under 30), Nick Dana of Newport, RI (Under 30), and OBR Amory Ross (Newport). 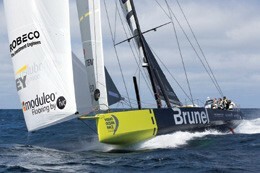 Legendary Dutch skipper Bouwe Bekking is a veteran of six Volvos, although he has yet to win. He’s back with a crew of young guys, and this time he means business. 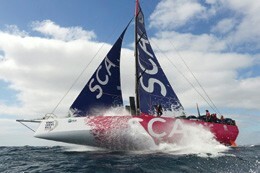 Team SCA is the first all-women’s team in the race in over a decade. The three Americans on the roster are two-time Rolex Yachtswoman of the Year Sally Barkow of Natosha, WI, Sara Hastreiter of Casper, WY (Under 30), and Corinna Halloran (Newport, RI), the first female OBR in the race! Under the leadership of skipper Iker Martínez and crewmember Xabi Fernández, each a veteran of three Volvos, this team has one clear objective: to claim Spain’s first victory. Australian skipper Chris Nicholson, a veteran of four Volvos, is back to lead a team sponsored by Vestas, the world’s leading wind energy company. Although the Danish team’s boat was only launched as this issue was going to press, they’re in it to win it. 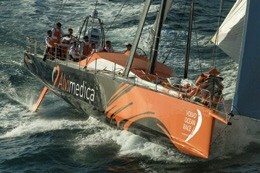 For more information, visit www.volvooceanrace.com. So, You Want to Plan a Rendezvous?